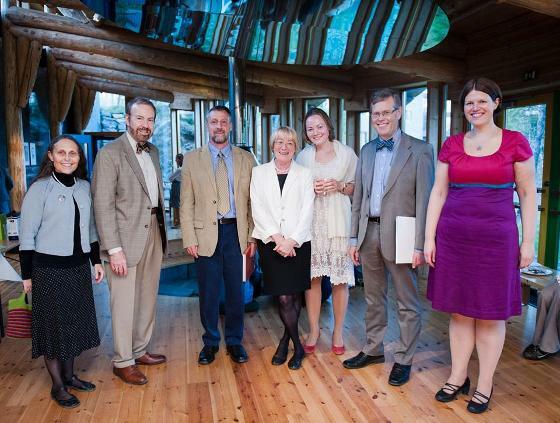 Pictured are: Anastasia Makarova, Svetlana Sokolova, Hanne M. Eckhoff, Laura A. Janda, Tore Nesset, and Julia Kuznetsova. 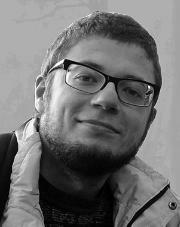 Today, on the 17th of December of 2015 we received great news from our own Francis Tyers, a member of CLEAR group at UiT, who just received a grant from the European Association of Machine Translation for holding a Summer School on Rule-Based Machine Translation. The school will take place over a period of two weeks in the summer of 2016 at the Universitat d’Alacant. More information is coming soon! Congratulations, Fran!!! Time machines do not exist, but books are good substitutes. Tore Nesset's new book that just came out in September 2015 takes you two thousand years back in time and explains how the Russian language came to be the way it is by reviewing all major changes in the grammar and sound system. The book is now available on Slavica Publishers: https://slavica.indiana.edu/bookListings/linguistics/How_Russian_Came_to_Be_the_Way_It_Is. 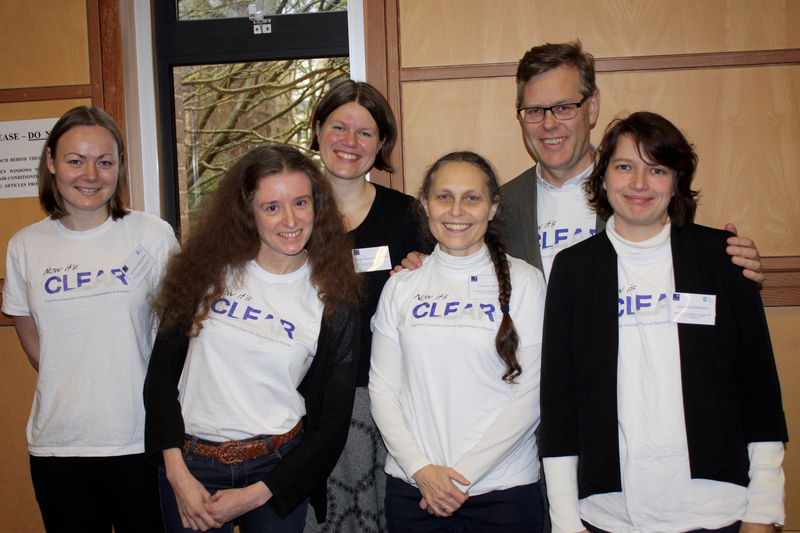 CLEAR had a fantastic start to the new semester! The day after a productive and highly inspirational group meeting held on August 26, CLEAR attended a musical concert "Grieg & Mendelssohn ut på tur" performed by the virtuosic Nordnorsk Opera og Symfonyorkester. Here we are, in the woods in front of Skihytta, in one of the most picturesque places in Tromsø. 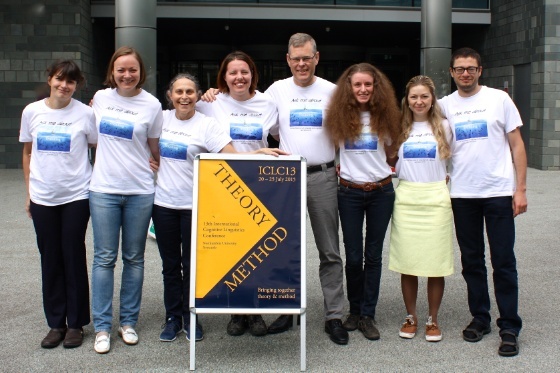 Pictured are: Koldo J. Garai (University of the Basque Country), Svetlana Sokolova, Anna Endresen, Hanne M. Eckhoff, Tore Nesset, Laura A. Janda, Anastasia Makarova, and our new students Marina Kustova and Tatiana Gavrilova. 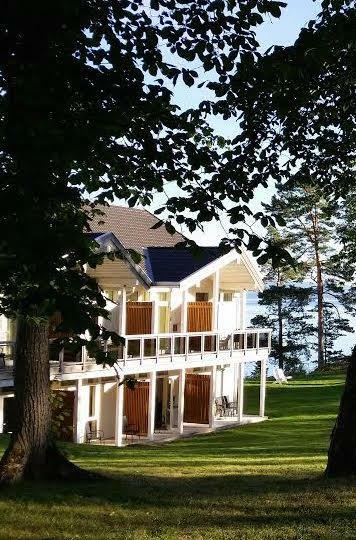 On August 19, 2015, four members of our research group presented five papers at the 5th Conference of the Scandinavian Association for Language and Cognition (SALC V) organised by NTNU, the Norwegian University of Science and Technology, and held in a beautiful place near Trondheim. They send warm regards to three other members of CLEAR, Francis Tyers, Robert Reynolds, and Olga Lyashevskaya, who co-authored two of these papers. 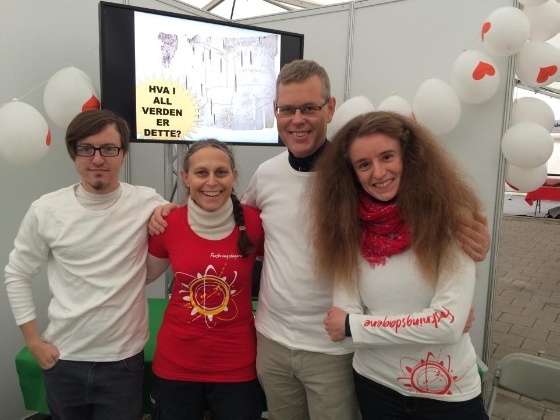 Pictured are: Laura Janda, Tore Nesset, Anastasia Makarova, Anna Endresen. On July 20-25, 2015, eight members of the CLEAR research group presented twelve papers at the International Cognitive Linguistics Conference in Newcastle, UK. Here they are, all wearing TROLLing t-shirts. Pictured: Julia Kuznetsova, Anastasia Makarova, Laura Janda, Olga Lyashevskaya, Tore Nesset, Svetlana Sokolova, Anna Endresen, and Aleksandrs Berdicevskis. Pictured are Maria Nordrum and Tore Nesset (supervisor). 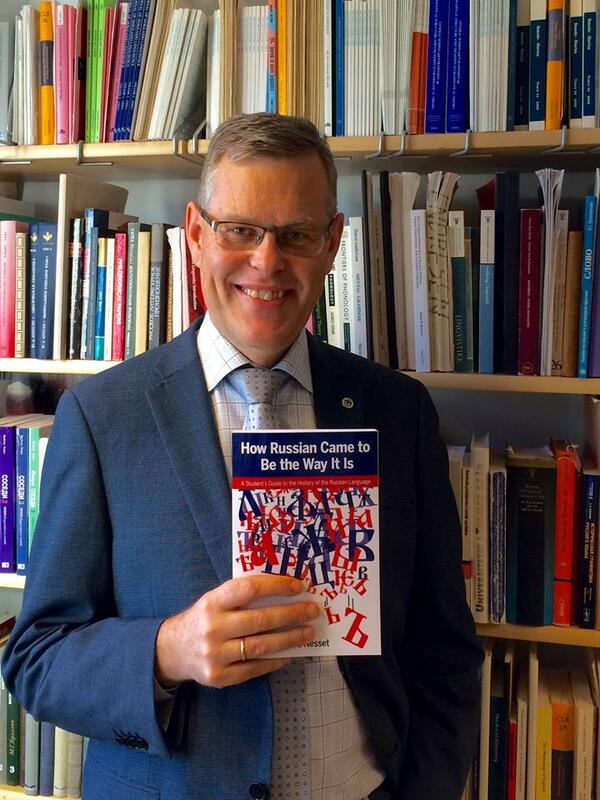 The second edition of Tore Nesset’s book “Russiskstudentens beste venn. Elementær innføring i kasuslære” came out in November, 2014. 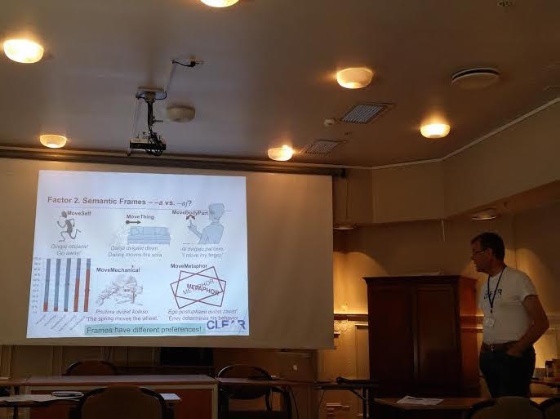 On September 19-20, 2014, the CLEAR group participated in Forskningsdagene in Tromsø, presenting our research to the local public. 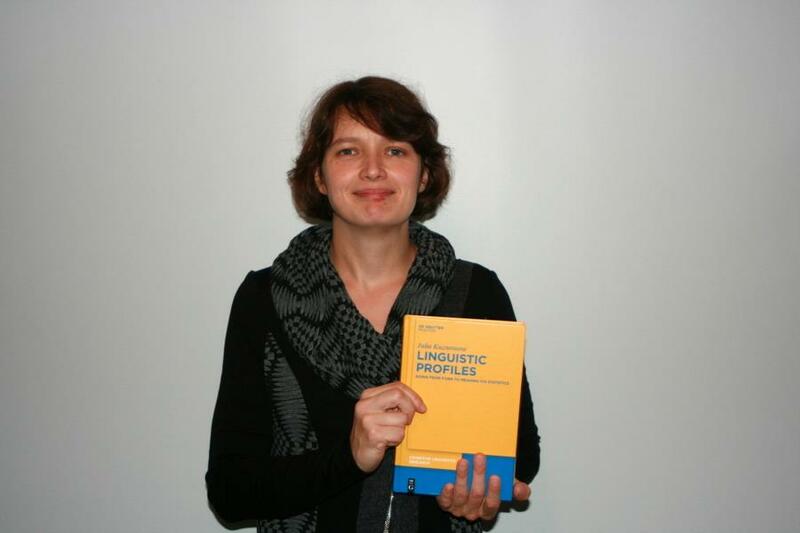 One of the members of the CLEAR group, Julia Kuznetsova, has defended her dissertation titled "Linguistic Profiles: Correlations between Form and Meaning" on May 6, 2013. 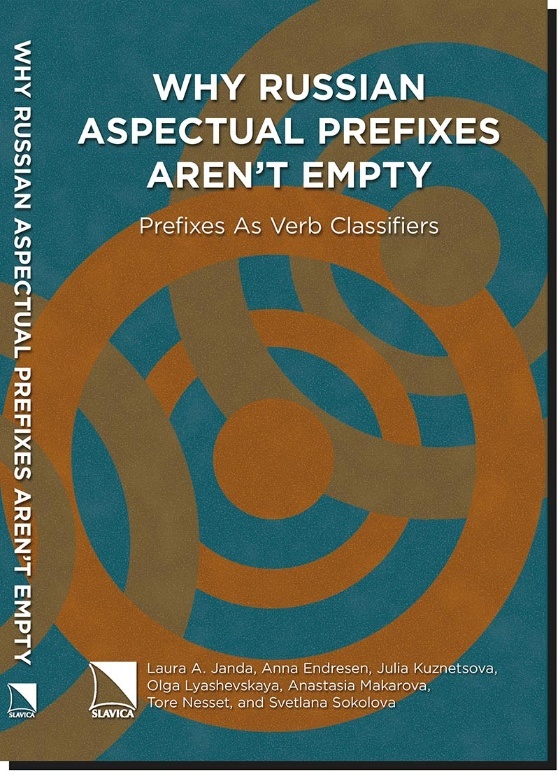 Our book "Why Russian aspectual prefixes aren’t empty: prefixes as verb classifiers" has been published by Slavica. 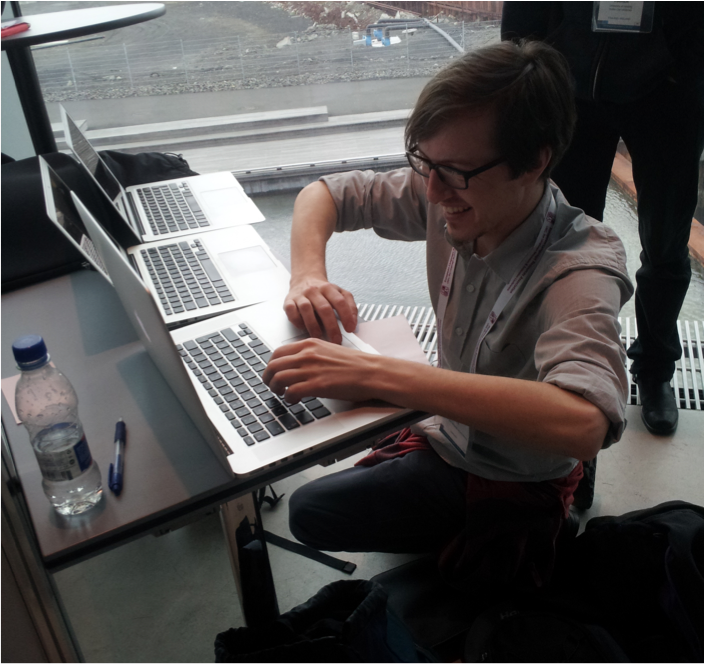 The website accompanying the book is available at the University of Tromsø's website. See the book announcement. One of the members of the CLEAR group, Svetlana Sokolova, has defended her dissertation tittled «Asymmetries in Linguistic Construal. Russian Prefixes and the Locative Alternation» on September 24, 2012. 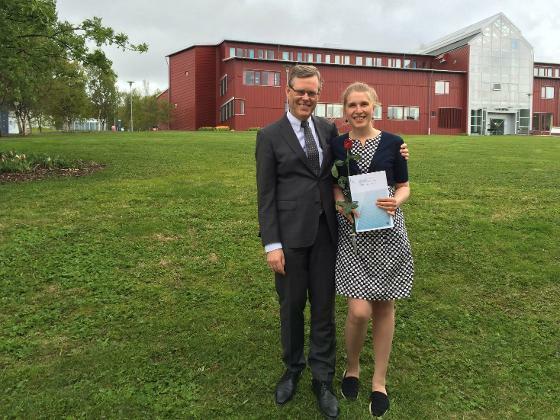 One of the CLEAR group leaders Laura Janda has been awarded the 2011 research prize from the Faculty of Humanities, Social Sciences and Education at the University of Tromsø. Janda was nominated jointly by CASTL and the Departement of Language and Linguistic; see here for an excerpt of the nomination letter. Congratulations! Opening of the "Exploring Emptiness database"
Laura Janda nominated to the university research prize! - En stor ære og unik mulighet.